The Institute and Faculty of Actuaries (IFoA) Directory of Opportunities provides an overview of our governance structure and highlights the many ways you can get involved. The directory is a helpful resource for existing volunteers, members, and others, interested in volunteering. discover opportunities for collaborative working, knowledge sharing with other IFoA groups, and to ensure work is not duplicated. 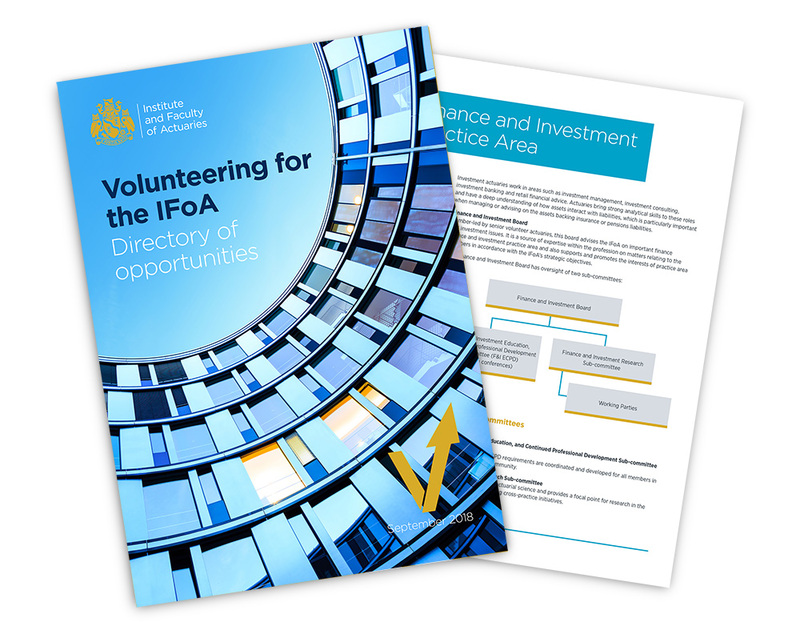 All current opportunities to get involved in supporting the IFoA are listed on our volunteer vacancies web page. If you are interested in a role which does not currently have a vacancy on the volunteer vacancies page, please contact Debbie Atkins, who can notify you once an opportunity is available.